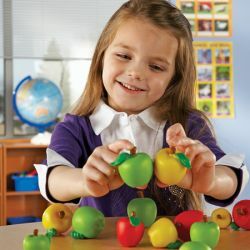 Compare apples to apples with this unique set! Sort and classify apples by 5 attributes including size, color and physical features (stem, leaf, worm). Includes 27 apples and an activity guide.